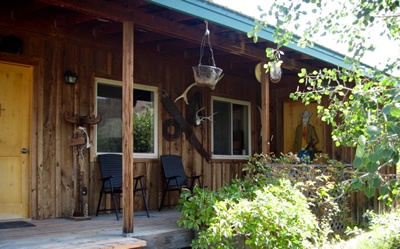 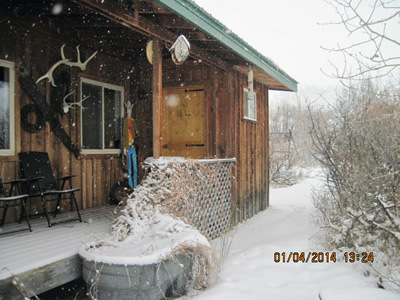 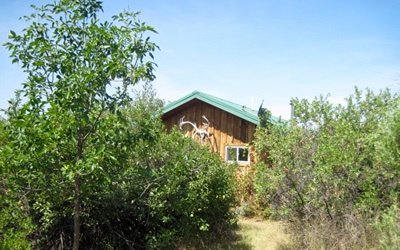 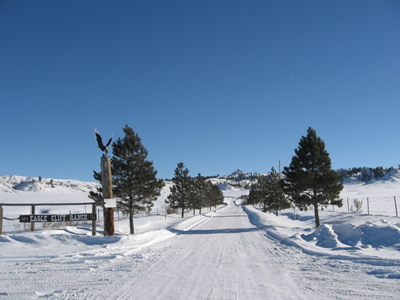 A cowboy's dream, modeled after the wild, wild West, the Bunkhouse has all the modern facilities. 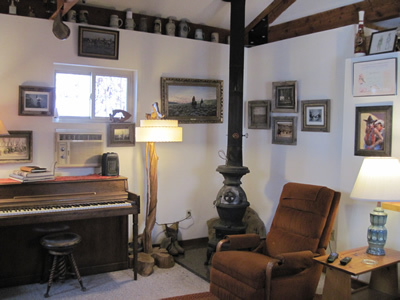 A potbelly wood stove is featured in the living area. 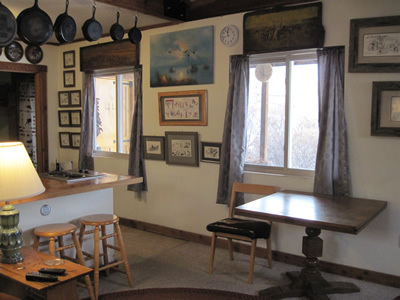 The cowboy kitchen invites you to rustle up some grub. 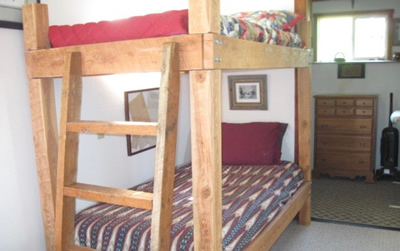 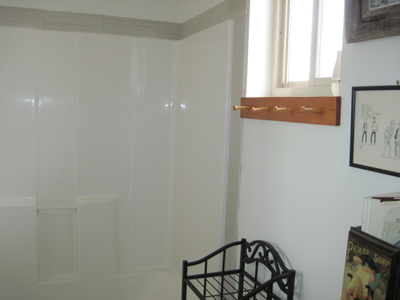 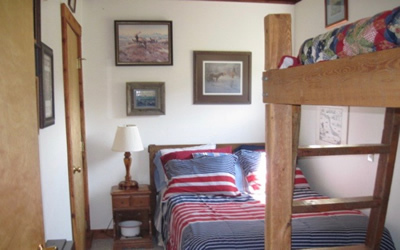 The sleeping quarter has a full size bed, two twin bunks, one bath, and a large walk-in closet. 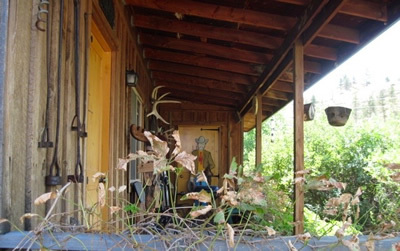 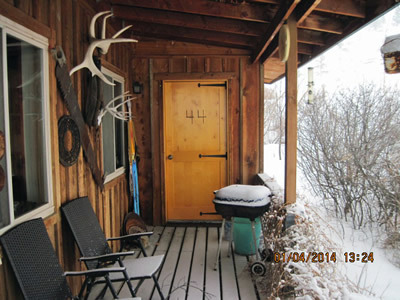 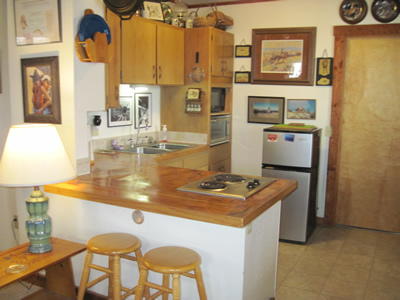 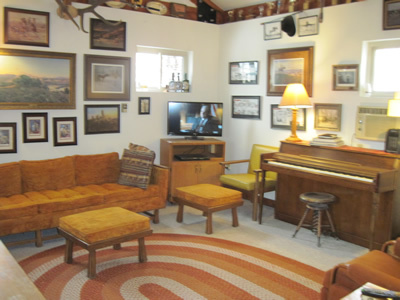 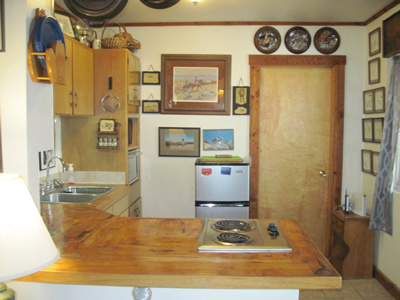 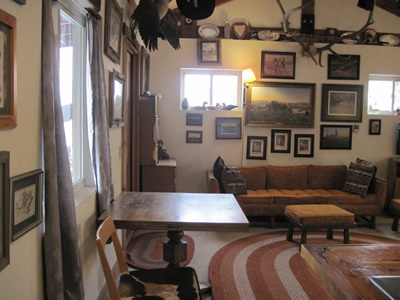 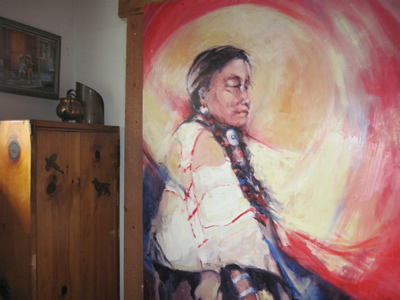 The walls and furniture are decorated with genuine articles from Eagle Cliff's resident cowboy.